Successfully Added Xiaomi Bluetooth Earphone - Bluetooth 4.1, Award Winning Design, Ultra Lightweigh, CSR8610 Chipset, 10M Range (Black) to your Shopping Cart. Special care has been taken to ensure the best levels of noise reduction while maintaining a high-quality connection. this ensures a stable and reliable performance without interference. With its 130mAh battery and efficient Bluetooth 4.1 connectivity, the Xiaomi Mi headphone is able to perform for up to 5 hours while you take calls on the go, all at the tap of a button so you can keep both hands free for more important tasks. 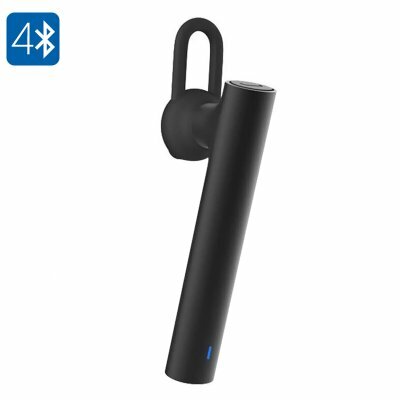 This Xiaomi Mi Bluetooth headset comes with a 12 months warranty, brought to you by the leader in electronic devices as well as wholesale Bluetooth devices and gadgets..